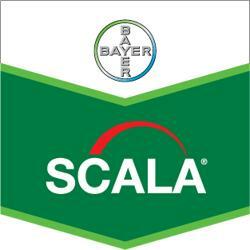 Scala has become a mainstay of botrytis management programs in Australian vineyards, and it can also be used to control botrytis â€“ or grey mould â€“ in strawberries and ornamentals. Laccase, an enzyme produced by botrytis in grapes, can have a devastating effect on wine quality. Scala is the only foliar fungicide for grapes proven to significantly reduce laccase.